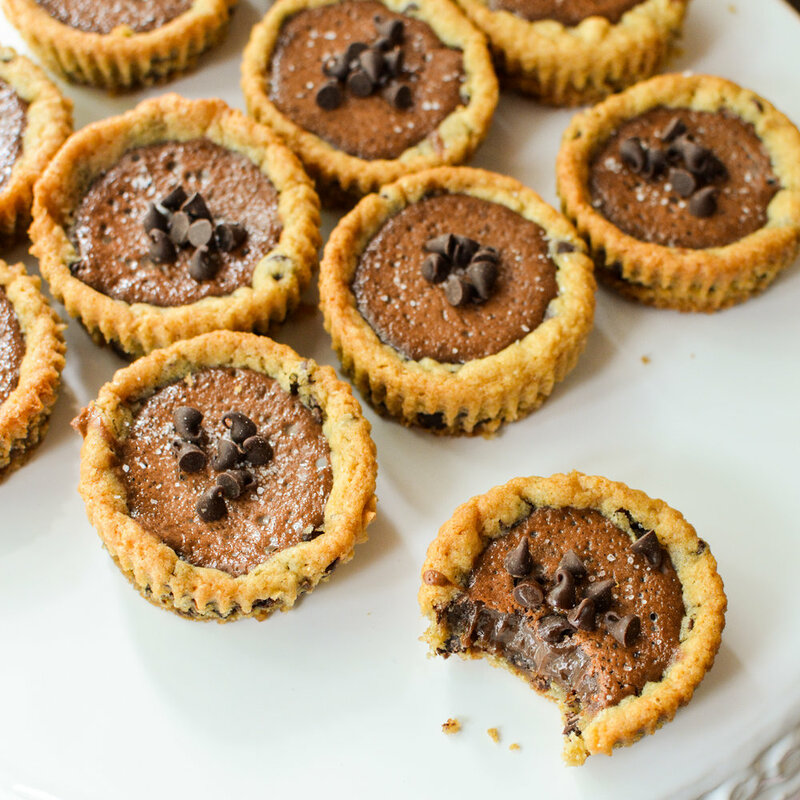 Chocolate chip cookie cups filled with a rich, smooth, chocolate filling topped with a sprinkle of salt and chocolate chips...dessert heaven? Perhaps. Happy Wednesday! I hope everyone had a nice Memorial Day weekend. Did you all see my moving announcement in my mac and cheese post a few days ago? Oh my, we are in the thick of the moving process at this point! If I'm not tripping on Caleb's toys I am falling over all the boxes scattered throughout the house. The big move is just around the corner though so we are getting very excited and anxious to settle into our new place. I'm having dreams about all the baking and cooking I can do in my new kitchen! I will definitely share pictures on Instagram! 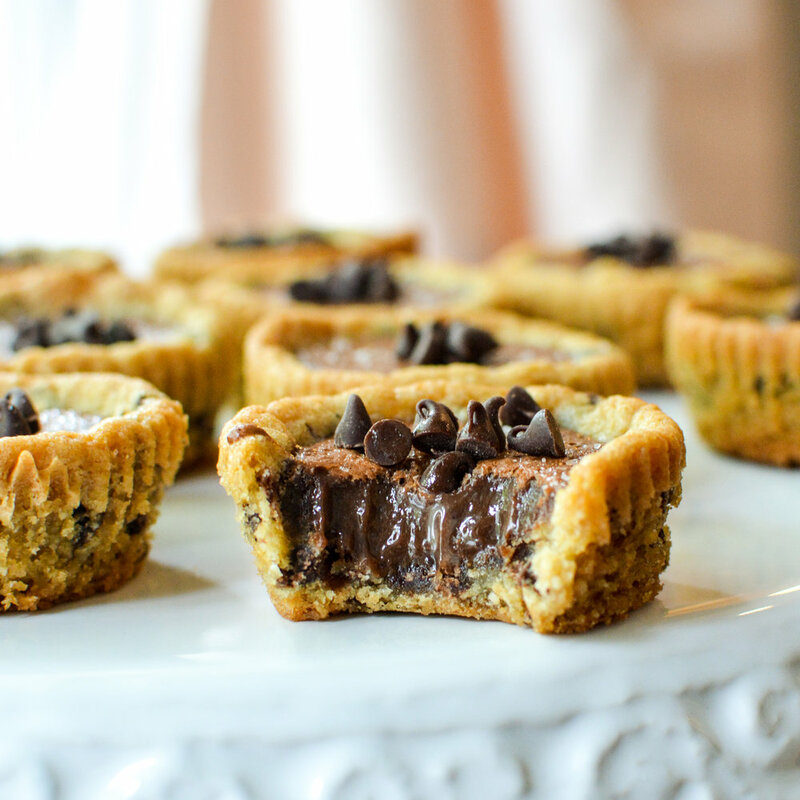 All of my packing last week was fueled by these luscious cookie cups. 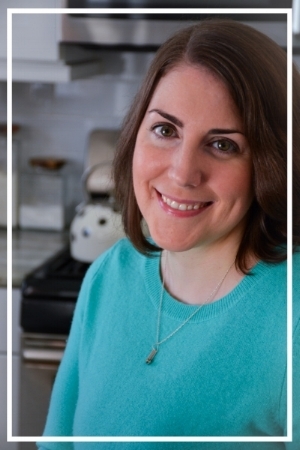 The recipe starts with my classic chocolate chip cookie dough. While I strongly recommend refrigerating the dough when making cookies, we are going to skip that step for the cookie cups - yay! The raw dough will get scooped into a muffin pan and baked. Once cooked, you are going to lightly press down with a spoon in the center of each cookie to create a "cup". Then comes the dreamy filling. Guess what? It's incredibly easy. Sweetened condensed milk, cocoa powder and egg yolks get whisked together with some vanilla and salt to form a thick, pudding like mixture. It will get spooned into the cups, baked and refrigerated to set. I recommend storing these guys in the fridge - don't worry the filling won't harden! Bake for approximately 10 minutes. It should be not quite done in the middle - it will bake again with the filling. Take out of the oven and lightly press on the center of each cookie with a spoon to form a "cup"